Ted Rogers, Unexpected Bitcoin Bull? The recent bearish trends in the cryptocurrency market have not fazed Xapo’s president one bit, as he still holds bullish sentiment regarding Bitcoin’s value in today’s world. Over the next 7 to 14 days, I kind of expect it (Bitcoin’s price) to be not too far from where it is now. News about cryptocurrencies has undoubtedly slowed, with pieces of breaking news being few and far in between. 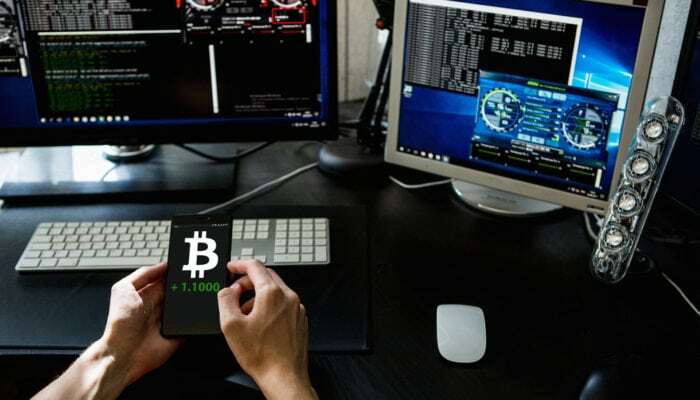 However, when queried about Bitcoin’s long-term performance, Rogers said that he believes BTC will be worth “hundreds of thousands of dollars” within the upcoming years. To give the value of this prediction a bit of context, a $200,000 Bitcoin would create a market cap of over 3 Trillion U.S dollars, a valuation higher than any publicly traded company that exists in our world today. Although this prediction may seem outlandish, some predict that prices that range in the hundreds of thousands will come in due time. Long has Bitcoin been called “digital gold” and the aforementioned quote made by Ted Rogers has given even more credence to Bitcoin actually fulfilling the role as an online store of value. However, Rogers took it one step further, by saying that Bitcoin will replace traditional gold, an advantageous, but hopeful statement to say the least. Such sentiment coming from such a large player in the cryptocurrency industry has inspired many. Xapo is one of the world’s largest cryptocurrency companies, as it now holds over $10 billion worth of Bitcoin for millions of customers worldwide. Xapo’s wallet app also has millions of downloads across IOS and Google app stores, further cementing itself as a reliable way for users to store cryptocurrencies. However, the president of Xapo did note that he believes that recent allegations of manipulation may be justified, due to the low liquidity in cryptocurrency markets. However, he did imply that this manipulation, if it exists, will only exist for a short period of time as the market eventually matures and regulators begin to crack down on manipulators. The market has become increasingly harder to trade as prices jump around in a seemingly random and uncontrollable manner. But if you are in it for the long run, Roger’s statements made yesterday make it sound like low prices should be of no worry.